Newbie photographs sometimes worry about dust or finger stains on the front of the lens element or on the shutter mirror. But there is a far more dangerous enemy that you must protect your camera and lenses from. 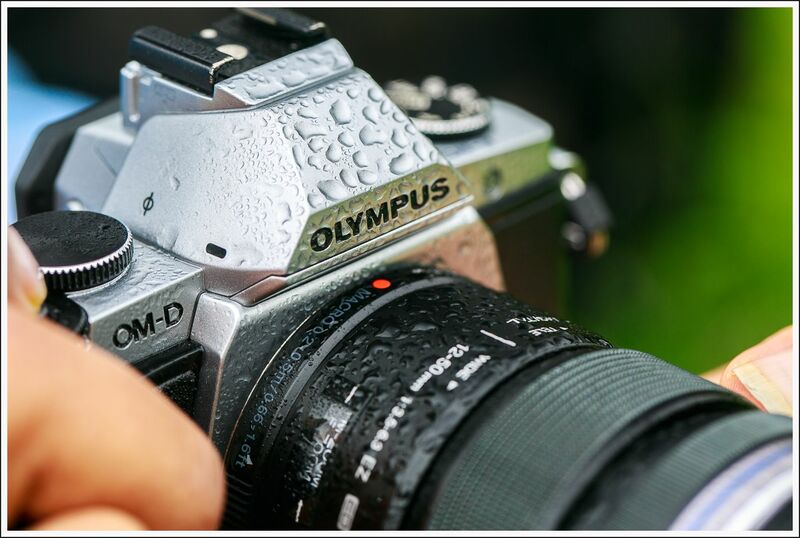 Your photography gear can suffer permanent damage from moisture and humidity. Cameras and lenses need protection both in the field, and when stored back at home. Camera manufacturers advertise high-end DSLRs to be weather resistant. But this does not mean they are waterproof. I have used almost every camera from the Canon 350D to the Canon 5D Mark III in the rain. Touch wood, I have never had a failure. But on a recent trip, a friend of mine was not so lucky. Not only did the camera die completely, so did the auto-focusing mechanism on the Canon L lens that was attached to the camera. The camera was a Canon 5D Mark II. The gear was exposed to rain for not more than 5 minutes. My guess is that the high humidity in the area resulted in rain water entering the camera due to capillary action. I will not delve into which brand is more weather resistant, although the urban legend is that Nikons are better in the elements than Canons. A story on Luminous Landscapes about the failure rate of Canons on a trip to Antarctica is probably the origin of this myth. 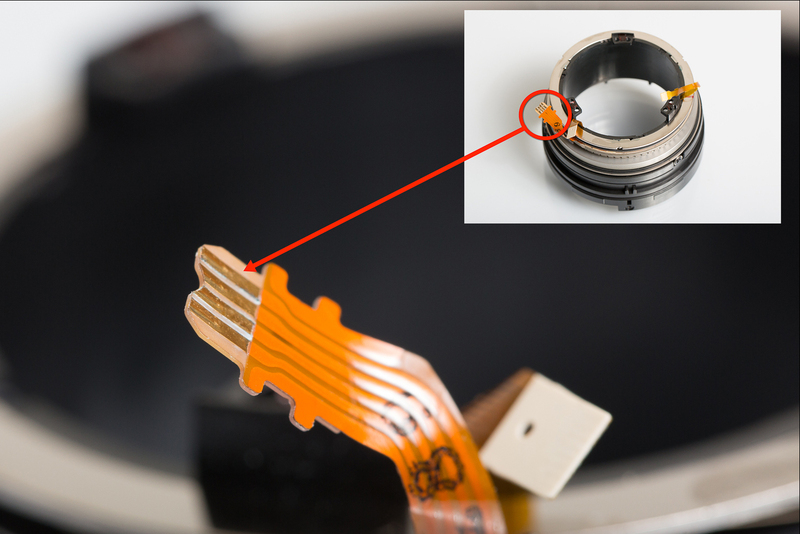 Corrosion on the flexible printed circuit connector resulting in a dead Canon lens. Now you know what can happen if water enters the camera. The corrosion developed in a day. 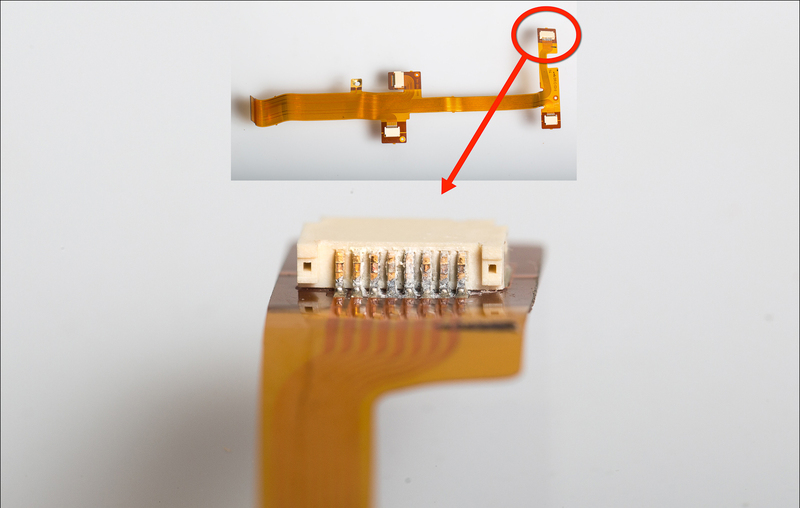 The FPC connector that you see in the photo is barely two inches. But replacing it cost a lot of money and time. While the damage was immediate in this case, moisture can also nurture the growth of fungus over a period of time. When I was waiting at the Canon service center, I saw at least three other photographers bring in lenses that were affected by fungus. Two of these three photographers were from Kerala – an Indian state that is known to receive very high rainfall. Fungus growth on a lens requires cleaning from an expert. There is no guarantee that the fungus will not reappear even after cleaning. This makes the presence of fungus very frightening. From these examples, I think it is safe to conclude that damage on photography gear due to moisture can burn a huge hole in your pocket. Generally when there is a sudden change in temperature or humidity levels, fog can develop inside the lens. This is frightening, but not dangerous. Keeping your gear in a ziploc pouch when traveling can help prevent fogging. If the lens does fog, waiting for the condensation to evaporate is the only solution. Most people experience this when moving from outdoors to indoors or vice versa. In some cases, this can happen in the field, due to a sudden change in temperature or humidity levels! As a first line of defense, use something as simple as an umbrella while in the field. Prevent any water from falling on your camera or lens. This tip probably sounds silly, but you’d be surprised at the number of amateur photographers who do not carrying an umbrella in their bags. Decathlon sells huge umbrellas which are good in heavy rains. You can purchase a rain guard for your camera, or make one easily. We Indians love wrapping everything in plastic, so it is easily available everywhere. Even if you have forgotten to carry your own plastic cover, any shop vendor will give you a plastic bag for free. Or you could make a rain cover at home on a lazy Sunday afternoon. The idea is to prevent rain falling on top of the camera. So you don’t necessarily need something fancy that provides underwater protection. Rain guards are good at protecting the camera body, but may not provide adequate protection for the lens. My lens died when water entered from the front element and killed the USM motor. You may also have a flash attached to the camera. A flash discharges very high voltages when operating, so you could receive a severe shock if water enters the flash or dampens the contacts around the mount. Don’t count too much on the rain guard, especially during heavy rain. This is where an umbrella scores over a rain cover. Go prepared with a big umbrella if you are traveling to an area of high rainfall. Use self-indicating silica gel crystals when you store your camera away. Keep these gels in your camera bag, and in the closet where you store your camera. 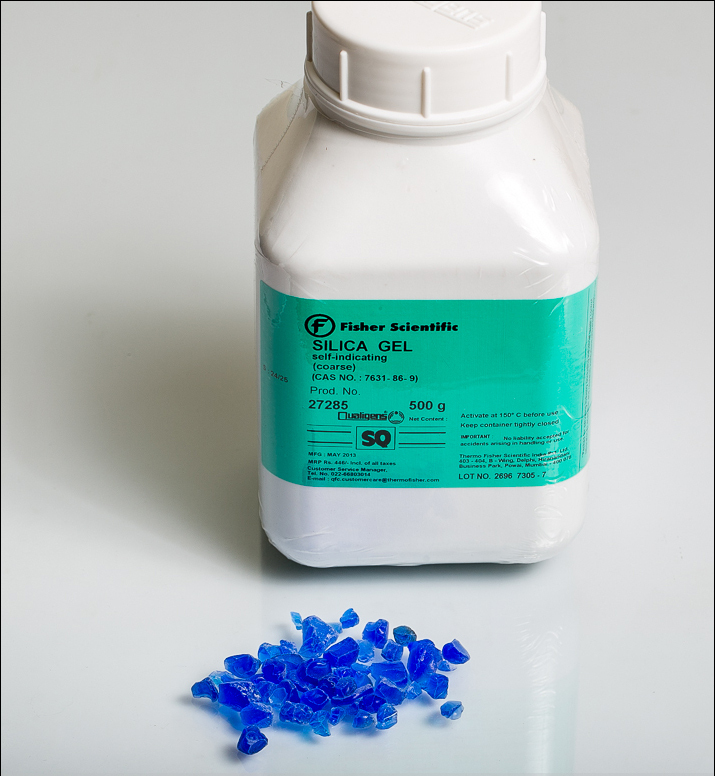 In Bangalore, you can buy 500gm of silica gel at Vasa Scientific (No 95/1, 11th Cross, 4th Main, Malleshwaram, Bangalore. Phone: 080-22272016) for about ₹500. The internet may tell you that blue silica gel can be reheated and reused, but beware! Cobalt (II) chloride which is used as the blue indicator is carcinogenic. I recommend disposing used silica gel responsibly, instead of reheating and reusing. I use scotch tape to fix a few crystals of silca gel onto the inside of the rear lens cap. I got this idea after seeing dehumidifying rear caps available on BHPhotoVideo. The idea is to have silica gel close to the lens element at all times. Raw uncooked rice also acts as a good desiccant. If you don’t have silica gel handy, you can place your camera in a air-tight container with rice. Be sure to close the battery and memory card compartment and all other openings to prevent rice from going in. The service engineer at Canon told me that the best way to store lenses after a shoot in wet weather is to first allow it to dry and normalize to the indoor temperature. He recommend storing the gear after around 15-30 minutes, and not immediately after coming indoors. If your camera begins to malfunction due to moisture when you are out in the field, turn it off immediately! Remove the battery and memory card and do not turn on the camera until it is full dry. Water conducts electric charge, so you don’t want the electronics in your camera frying up due to the water that may have entered the body. Clean the exterior of the camera immediately with a microfibre cloth. Certainly avoid changing lenses when you are still outdoors. Caution: Some people recommend using a hair drier to remove moisture from a wet camera. Nikon’s knowledgebase advices against doing this. The heat from the hair drier could melt the plastic parts of the camera. Instead, you could try keeping the camera near the vent of a car heater. If you live in the tropics or where the humidity levels are always high, you should consider investing in a dry cabinet or dry box. Electronic dry boxes are fairly advanced, and can automatically control the humidity using sensors. Digi-cab is a brand commonly available in India, and is highly spoken of. Some folks pack their gear in airtight boxes with silica gel inside. I think this method is ok for places like Bangalore which have lower humidity levels all through the year. Use these tips and your common sense to save your gear from moisture. Happy clicking! Thank u!! Very nice article.. very informative..